Arab-Israeli politician Haneen Zubai who is a member of the Israel Knesset (equivalent to our Senate) is taking a stand for the Iranian nuke program and for Iran to balance out Israel's power in the region. This is just another example of our enemies using our freedoms against us. New Balad MK Haneen Zuabi, the first woman to be elected to the Knesset as a representative of an Arab party, has welcomed Iran's growing influence on Palestinian affairs and praised Iran's quest for a nuclear weapon as a means of offsetting Israel's regional military edge. Having Israel as the region's sole nuclear power, she said, was "dangerous to the world." 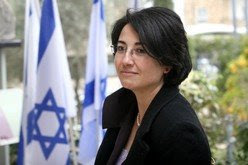 Interviewed in English twice in recent days - in her Knesset office and in a Jerusalem hotel - Zuabi, one of Balad's three MKs and the former director of the I'lam: Media Center for Arab Palestinians in Israel, said Iran's role in Palestinian affairs was "more useful" than that of regimes like Jordan and Egypt, in that Iran stood more firmly "against occupation than a lot of the Arab countries. This is our interest." She said Egypt and Jordan were scared of a free and democratic Palestinian state. Queried regarding Iran's quest to manufacture nuclear weapons, Zuabi stated that having Israel as the region's sole nuclear power was disadvantageous. "It would [sic] be more supporting me to have a counter-power to Israel," she said. "I need something to balance [Israel's] power." Zuabi was asked if she felt worried, living among Jews, that Iran was getting close to acquiring a nuclear weapon. She replied: "No, I am not." Indeed, she said was "more afraid from the Israeli nuclear [weapons]." Israel does not officially admit to a nuclear weapons capability, but is widely believed to have had such a capability since the 1960s. When asked if she thought that Israel would use nuclear weapons, she replied, "The Israelis? I think yes… And I am afraid from real risk rather than from potential risk." The Iranian bomb was only "a potential" threat. The real danger was the Israeli army, she said. "Every day the Israeli [army] uses its violence, army violence." Zuabi said that Israel was an aggressor state, and that only a situation similar to that which existed between the Soviet Union and United States in the form of the doctrine of "Mutually Assured Destruction" would restrain Israel. "It is more dangerous to the world, more dangerous to everyone, more dangerous to the Palestinians, to Israelis, to have Israel as the only powerful state. I need something to balance its power because this balance of power will [sic]restrict the Israeli using of power. The Israeli violence of the army is an outcome of Israel's convenient feeling that no one will restrict her, that no Arab country will really declare a war against [Israel]." She added: "I believe that [Israel] would respect its use of power if she's afraid of others. The fact that [Israel]is not afraid of Arab countries, the fact that [Israel]is not afraid of a potential declaration of our Arab world to declare war against Israel, makes Israel more violent. You understand me?" Asked whether an Iranian bomb would make America nervous and lead to more US pressure on Israel, and whether that would be good from her point of view, Zuabi replied: "Exactly." Zuabi declared that the very concept of a Jewish state was "inherently racist", saying that Israel must be turned into a "state of all its citizens," which would eliminate its Jewish or Zionist nature. The Knesset Central Elections Committee disqualified the Balad party from running in the recent elections due to its members' refusal to recognize Israel as a Jewish state and reported calls for violence against it. The ban was overturned by the Supreme Court. Responding to Zuabi's comments, Balad party chairman Dr, Jamal Zahalka said: "I think Ms. Zuabi tried to explain some analysis [about] what's [sic]better if you have. [But] this is not a position. It's an analysis [of] what would be safer for the region, if there is a balance." Her comments, he said, did not constitute "supporting a nuclear weapon in Iran." Some of Zuabi's statements were consistent with her previously stated views. On February 13, she was quoted by the Balad-affiliated Arabs48 internet news site saying that "Balad's concept, which rejects the 'Jewish state' idea, is the only idea that can remove [Avigdor] Lieberman from the circle of political and moral legitimacy… When you agree with the 'Jewish state' idea, you necessarily agree with the idea of loyalty to this state. Rejecting the 'Jewish state' concept will block the road for anyone who demands our loyalty to such a state. There is no logic in demanding that I be loyal to an idea to which I do not agree to begin with, especially since I am proposing an alternative and fighting for it… The language of democracy does not speak of loyalty. This is a language of fascism, just like Lieberman. The language of democracy speaks of rights, equality, and values." The Islamic catering, America destroying Obama is at it again. He has announced his pick for the State Department's top legal advisor. His pick is radical Harol Koh, who has stated that he has no problem allowing Sharia law into our US courts. It is sad that the American voters could not figure out just how radical Obama is. Koh: Wants US courts to apply "world law." A spokeswoman for Koh said she couldn't confirm the incident, responding: "I had heard that some guy . 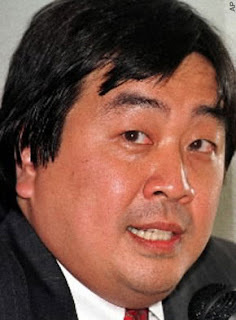 . . had asked a question about sharia law, and that Dean Koh had said something about that while there are obvious differences among the many different legal systems, they also share some common legal concepts." Score one for America's enemies and hostile international bureaucrats, zero for American democracy. What happens to Koh in the Senate will send an important signal. If he sails through to State, he's a far better bet to make it onto the Supreme Court. So Senate Republicans have a duty to expose and confront his radical views. Even though he's up for a State Department job, Koh is a key test case in the "judicial wars." If he makes it through (which he will if he gets even a single GOP vote) the message to the Obama team will be: You can pick 'em as radical as you like. Meghan Clyne is a DC-based writer. Just about a month ago the Taliban in Pakistan was allowed to rule the Swat Valley by Sharia law. The deal with supposed to be sharia in exchange for "peace". I guess that Obama and Hillary got this one wrong as they had backed the deal. Baitullah Mehsud, who has a $5 million bounty on his head from the U.S., said Monday's attack on the outskirts of the eastern city of Lahore was retaliation for U.S. missile strikes against militants along the Afghan border. Pakistan's former government and the CIA named Mehsud as the prime suspect behind the December 2007 killing of former Prime Minister Benazir Bhutto. Pakistani officials accuse him of harboring foreign fighters, including Central Asians linked to al-Qaida, and of training suicide bombers. In Washington, State Department spokesman Gordon Duguid said he had not seen any reports of Mehsud's comments but that he would "take the threat under consideration." Whether it is a bank implementing Islamic banking or a 6 Flags Amusement Park catering to Muslims by asking their employees not to wear shorts on Muslim Day, it all leads to more demands by Muslims. In regards to Islam, we are slowly heading in the same direction as the UK. In 2007, the University of Michigan installed ritual foot baths to accommodate Islamic tradition. "These things are beginning to percolate up as Shariah-adherent Muslims insist that their preferences and practices be accommodated by the rest of the population," said Frank Gaffney, founder and president of the Center for Security Policy — a Washington think tank. Gaffney predicted the U.S. could soon face problems similar to some Western European countries, where the religious values of Muslim immigrants sometimes clash with their highly secular host cultures. But Professor An-Na'im believes it will be different in America. "The variety of American secularism — which is much more receptive of public displays of religion and a public role for religion — is, in fact, more conducive for Muslims to be citizens and to be comfortable with their religious values and citizenship than European countries," An-Na'im said. Recently a Domino's in the UK had banned all pork products to cater to their Islamic customers. Now the Brits have taken this catering to the world stage and have banned all pork products at the upcoming G20 banquet. Of course this was done after it was demanded by self centered Muslims. One cowardly British chef had this to say "It is not an option and you cannot mess about. Britain's reputation is on the line here." Pretty pathetic, if you ask me. JAMIE Oliver may have lobbied us to buy British pork but he won't be serving it to the world's most powerful leaders at next week's G20 banquet in Downing Street. The chef, whose recent TV series Jamie Saves Our Bacon saw him champion pig welfare, has removed pork from the menu of his six-course meal because it could offend Muslim guests. The Saudi Arabian, Turkish and Indonesian delegations are said to have requested that no pork be served and that halal food is available for leaders such as King Abdullah of the Saudi royal family and Susilo Bambang Yudhoyono, president of Indonesia. A source close to Oliver, 33, said he was also "working his way through a lengthy list" of dietary requirements for Gordon Brown's global guest list. Oliver has spent the past few months ensuring embassies and British diplomats approve ingredients. The source said: "We have a very lengthy list of what certain parties will require and it's proved quite a challenge to make sure all dietary needs are catered for - but there should be no issues. Certain foods are off the menu based on what has been requested." Cyrus Todiwala, a leading chef who is making a lunch for G20 delegation members at Asia House next Wednesday, said: "If you have leaders from Muslim countries such as Saudi Arabia or Indonesia there, then you simply cannot serve pork. It is not an option and you cannot mess about. Britain's reputation is on the line here. "Suppliers will have been vetted thoroughly and Jamie's people would have been working with Downing Street and the embassies for a long time to avoid any issues. Preparing a meal like this is a logistical nightmare. I served 48 Commonwealth heads of state once and every person had a dietary issue." Oliver will have a team of 40 at Downing Street including apprentices from Fifteen, the London restaurant he founded to help train underprivileged young people. Taking a page out of the Saudi playbook, Morocco has expelled five Christian missionaries for trying to convert Muslims. RABAT, Morocco (AP) — Authorities have expelled five Christian missionaries from Morocco on the grounds that they were illegally inciting Muslims to convert, the Interior Ministry said Sunday. The missionaries were caught Saturday during an assembly with Moroccan Muslims in Casablanca, the North African kingdom's economic capital, and have been sent to Spain by boat, the Interior Ministry said in a statement carried by the official MAP news agency. "Numerous pieces of evangelical propaganda material were also seized," including video cassettes in Arabic that advocated conversion to Christianity, the statement said. A senior Interior Ministry official said the missionaries were four Spaniards and a German woman. He insisted Morocco has nothing against the Christian faith, but that authorities felt the missionaries had gone too far. The official, who spoke on condition of anonymity in keeping with Interior Ministry rules, said the missionaries were expelled without being officially arrested or charged. He could not specify the Christian denomination to which they belonged. Several Evangelical Christians have been charged or detained in recent months in neighboring Algeria, and authorities throughout North Africa have become increasingly wary of an apparent push by some Protestant churches in this overwhelmingly Sunni Muslim region. Christianity and Judaism are freely practiced in dozens of churches, temples and synagogues throughout Morocco, but proselytizing to convert Muslims is considered illegal. A tourism haven and a strong Western ally, Morocco has a reputation for tolerance. At the same time, the country's King Mohammed VI is also "Amir al-Mouminine," or commander of the believers and protector of the Muslim faith. Morocco appears to have hardened its stance on moral issues in recent weeks. A Shiite Muslim school was closed earlier this month on suspicion it was trying to convert pupils, and Rabat severed its diplomatic relations with Iran, accusing the Shiite Islamic republic of trying to undermine Morocco's Sunni unity. The Interior Ministry also recently issued a statement asserting it would not hesitate to crack down on media or activists that threatened the country's religious or moral values. The statement was viewed as targeting Shiites, as well as some newspapers that recently called for more rights for homosexuals. 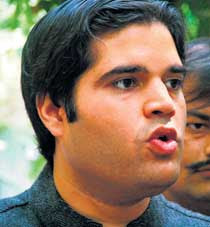 A NY based American Indian group has been campaigning here and in the UK for one of India's anti-Islamic politician's Varun Gandhi. (No relation to Mohandas Gandhi) Gandhi was recently arrested in India for his anti-Islamic remarks, but like Dutch politician Geert Wilders, his support among civilians is growing. One would think that the world would of learned a lesson by all the centuries that Hindus have been persecuted by Muslims. New York-based Indian-American Intellectual Forum, a little-known group with saffron leanings, has been running a campaign in the US and UK in support of Varun Gandhi. The group has, in the days after CDs of Varun's alleged hate speech targeting Muslims came to light, sent press releases to thousands of people in the two countries urging them to support Gandhi's stand. "India is a Hindu-majority country run by a dynasty for 60 years. The Hindus are very weak here and under attack. If someone announces that Hindus will be protected, we will support him. If India becomes an Islamic country, what will be the condition of Hindus?" asked Arish Sahani, the vice-president of the Forum. Sahani added, "Do you want India to become like Pakistan? What did the government do, when 26/11 took place? Our mission is to fight terrorism and guard India." Forum officials claim that thousands have congratulated Gandhi on his fearless stand against Islamic terrorism, and that Indians living in USA consider terrorism to be India's most pressing problem and feel that the UPA government's response to it is very weak. Take a stand and support the fight!! Anti-jihad, pro-Israel shirts, hats, and more are now available. 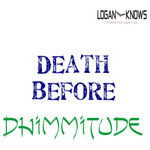 Please check out my new web store, the LoganKnowsStore and help support the upcoming ChristopherLogan.Org. Just this week we learned that American Muslims were forming their own communities across America. How long until this follows? Hat tip to Dr. Dave at Feed Your ADHD. The programme, run by the Association of Chief Police Officers, asks teachers, parents and other community figures to be vigilant for signs that may indicate an attraction to extreme views or susceptibility to being "groomed" by radicalisers. Sir Norman, whose force covers the area in which all four 7 July 2005 bombers grew up, said: "What will often manifest itself is what might be regarded as racism and the adoption of bad attitudes towards 'the West'. "But when we went back to his teachers they remarked on the things he used to write. In his exercise books he had written comments praising al-Qa'ida. That was not seen at the time as being substantive. Now we would hope that teachers might intervene, speak to the child's family or perhaps the local imam who could then speak to the young man." The Channel project was originally piloted in Lancashire and the Metropolitan Police borough of Lambeth in 2007, but in February last year it was extended to West Yorkshire, the Midlands, Bedfordshire and South Wales. Due to its success there are now plans to roll it out to the rest of London, Thames Valley, South Yorkshire, Greater Manchester, Leicestershire, Nottinghamshire, and West Sussex. The scheme, funded by the Home Office, involves officers working alongside Muslim communities to identify impressionable children who are at risk of radicalisation or who have shown an interest in extremist material – on the internet or in books. Once identified the children are subject to a "programme of intervention tailored to the needs of the individual". Sir Norman said this could involve discussions with family, outreach workers or the local imam, but he added that "a handful have had intervention directly by the police". He stressed that the system was not being used to target the Muslim community. "The whole ethos is to build a relationship, on the basis of trust and confidence, with those communities," said Sir Norman. "With the help of these communities we can identify the kids who are vulnerable to the message and influenced by the message. The challenge is to intervene and offer guidance, not necessarily to prosecute them, but to address their grievance, their growing sense of hate and potential to do something violent in the name of some misinterpretation of a faith. Nor was it criminalising children, he added. "The analogy I use is that it is similar to our well-established drugs intervention programmes. Teachers in schools are trained to identify pupils who might be experimenting with drugs, take them to one side and talk to them. That does not automatically mean that these kids are going to become crack cocaine or heroin addicts. The same is true around this issue." But Inayat Bunglawala of the Muslim Council of Britain said the police ran the risk of infringing on children's privacy. He warned: "There is a difference between the police being concerned or believing a person may be at risk of recruitment and a person actually engaging in unlawful, terrorist activity. "That said, clearly in recent years some people have been lured by terrorist propaganda emanating from al-Qa'ida-inspired groups. It would seem that a number of Muslim youngsters have been seduced by that narrative and all of us, including the Government, have a role to play in making sure that narrative is seen for what it is: a nihilistic one which offers no hope, only death and destruction." A Home Office spokesman said: "We are committed to stopping people becoming or supporting terrorists or violent extremists. The aim of the Channel project is to directly support vulnerable people by providing supportive interventions when families, communities and networks raise concerns about their behaviour." Just like in the UK we are now looking to put Muslims in positions of power, desperately hoping that this will actually make things better. Appeasement never works with them and suicide bombers in the UK were doctors and teachers, so their position in the country does not necessarily mean loyalty. This will come back to haunt us. CHICAGO — In a bid to get more Muslim Americans working in the Obama administration, a book with resumes of 45 of the nation's most qualified — Ivy League grads, Fortune 500 executives and public servants, all carefully vetted — has been submitted to the White House. Over the years many of us have debated Muslims and their leftist supporters on the subject of whether or not Islam is a peaceful religion. Muslims and their excuse makers usually try the popular, Islam only calls for violence in a "defensive war". One of my responses to them was that Koran verse 5:32 proves that Islam is a violent religion. As it calls for the death of anyone who spreads "mischief" in the land, and "mischief" can be anything that they say it is. Here is 5:32 as translated by Islamic scholar Yusuf Ali. YUSUFALI: On that account: We ordained for the Children of Israel that if any one slew a person - unless it be for murder or for spreading mischief in the land- it would be as if he slew the whole people: and if any one saved a life, it would be as if he saved the life of the whole people. Then although there came to them Our messengers with clear signs, yet, even after that, many of them continued to commit excesses in the land. This short video from Iran backs up my point 100%. Here is the script that the Obamabots have been programmed to follow as they go door to door in their endless quest to support their master. It is not hard to notice that when it comes to the tough questions, they have no real answers. Hat tip to The Munz. Hi. My name is _____________, and I’m a volunteer with Organizing for America here in ________________(City or Town). How are you today? Great! Have you heard about Organizing for America and what we are doing in our community? Organizing for America is the continuation of the grassroots movement President Obama inspired during last year's presidential campaign. In the greatest economic crisis our country in generations, President Obama needs your help to get America back on track. Today I'm here to spread the word and build support in our community for the President's plan to create jobs and renew and strengthen our economy. President Obama knows that in order for our economy to rebuild we must tackle three critical components at the heart of our country's future: energy, health care, and education. Especially now, in the midst of these tough times, we cannot afford to wait any longer for the change we need, and the change that we voted for in November. President Obama needs your help now. I'm asking you to join President Obama and pledge your support for his proposed budget priorities supporting the American people by making us energy independent, making health care more affordable by reducing costs, and by improving education in America. We will deliver these pledges from individuals in your community to the President and your members of Congress in order to show the overwhelming support for President Obama's plan and the urgent need to move this country forward. Now is the time for leadership that will put our country back on the path to prosperity. Our country's success depends on folks like you showing your support by joining the President in strengthening our economy and our country. Please call your Congressman and tell him/her you support President Obama’s plans for reform by calling the number on this flyer. [Give the flyer for your specific Congressional District]. Now, if the President is going to be successful going forward, we need people like you to stay active in our community. Are you interested in become active in Organizing for America? IF YES: Fantastic! [Make sure to check off volunteer box on pledge form.] Someone will be in touch with you soon about our upcoming events. Do you have any other questions? IF NO: Okay. Do you have any other questions? IF YES: Go to QUESTIONS/ISSUES. IF NO: Thanks so much for your time. To get your friends, family, and neighbors to join this call for change, or to learn more about the President’s blueprint for change, you can visit our website at my.barackobama.com/pledgeproject. Have a great day! to reform energy, health care, and education in this country? IF YES: Go to QUESTIONS/ISSUES. IF NO:Thank you for your time. We hope you’ll still support the President’s efforts to bring these much needed reforms to our country. You can learn more at my.barackobama.com/pledgeproject. Have a great day! Our addiction to foreign oil doesn't just undermine our national security and wreak havoc on our environment — it cripples our economy and strains the budgets of working families all across America. Creating a new energy economy isn’t just a challenge to meet, it’s also an opportunity to create new businesses, new industries, and millions of new jobs – jobs that pay well and cannot be outsourced. • The President will make historic investments that will double the nation’s supply of renewable energy in the next three years; spur new discoveries in energy, medicine, science and technology through the largest infusion of basic research funding in American history; and put Americans back to work modernizing buildings and weatherizing homes. businesses and consuming government budgets – is one of the greatest threats to America’s fiscal health. • In the last eight years, health care premiums have grown four times faster than wages, and an additional nine million Americans have become uninsured. The cost of health care now causes a bankruptcy in America every thirty seconds. • Even for people with health care, all it takes is one stroke of bad luck to become one of the nearly 46 million uninsured — or the millions who have health care, but can’t afford it. • Health care reform is no longer just a moral imperative, it is a fiscal imperative. If we want to create jobs and rebuild our economy, then we must address the crushing cost of health care this year. fulfill their potential and whether our workers have the chance to build a better life for their families. Education has always been the foundation for achieving the American dream, providing opportunity to millions of American families, newcomers, and immigrants. Our nation’s economic competitiveness depends on providing every child with an education that will enable them to compete in a global economy that is predicated on knowledge and innovation. We cannot let other countries outperform us in education if America is to remain a global economic leader in the 21st Century. HOW DOES THE PRESIDENT'S BUDGET PLAN CREATE JOBS AND IMPROVE THE ECONOMY? The first order of business for President Obama is to get our economy moving again, create jobs and lay the foundation for growth in the short and long term. The President is committed to bringing the type of change we need to the economy and to our national priorities that gets us out of the boom and bust economic cycles we have seen over the last two decades and instead provides for steady long term growth that we can count on. The future of our economy and job creation is tied to our ability to improve education, make health care more affordable and invest in renewable energy to reduce our dependence on foreign sources of oil - all priorities of the President's budget plan. WHAT IS BEING DONE ABOUT THESE AIG BONUSES? It is AIG’s own recklessness and greed that put the company in trouble in the first place and the President shares the outrage of the country and the taxpayers over these bonuses. The President has directed the Treasury Department to use the taxpayer's investment in AIG as leverage and pursue every legal avenue available to block these bonuses. The President is doing everything possible to get to the bottom of this and protect American taxpayers from this outrage. HOW DOES THE PRESIDENT'S PLAN ADDRESS THE GROWING BUDGET DEFICIT? The President believes that after we emerge from the current economic crisis which is gripping the country, that we must get our fiscal house in order. His budget plan cuts wasteful spending, eliminates unnecessary programs and allows tax breaks for the wealthiest of Americans and corporations to expire in 2011. By making the needed investments to get our economy moving again, and by making the hard choices in these other areas, President Obama's plan will cut the current projected budget deficit in half by the end of his first term in office. PAID FOR BY ORGANIZING FOR AMERICA, A PROJECT OF THE DEMOCRATIC NATIONAL COMMITTEE — 430 SOUTH CAPITOL ST. SE, WASHINGTON, D.C., 20003. THIS COMMUNICATION IS NOT AUTHORIZED BY ANY CANDIDATE OR CANDIDATE’S COMMITTEE. Back in August of 2008 the Islamic catering United Nation "human rights" council had banned all criticism of Islam and Sharia law in regards to human rights. Today the UN has approved a resolution urging the free world to do the same. It is nice to see that the UN is OK with stonings and amputations. GENEVA (AP) — The U.N.'s top human-rights body approved a proposal by Muslims nations Thursday urging passage of laws around the world to protect religion from criticism. Muslim nations have argued that religions, in particular Islam, must be shielded from criticism in the media and other areas of public life.They cited cartoons depicting the Prophet Muhammad as an example of unacceptable free speech. "Islam is frequently and wrongly associated with human rights violations and terrorism," the resolution said. "It is individuals who have rights and not religions," Canadian diplomat Terry Cormier said. India, which normally votes along with the council's majority of developing nations, abstained in protest at the fact that Islam was the only religion specifically named as deserving protection. India's Ambassador Gopinathan Achamkulangare said the resolution "inappropriately" linked religious criticism to racism. The council is dominated by Muslim and African countries. Its resolutions are not binding, but are meant to act as recommendations for U.N. member states on issues of human rights. Earlier, a coalition of more than 100 secular and faith groups had called on governments to oppose the resolution, warning that it could lead to accusations of defamation among different faiths. The United States did not vote on the resolution because it is not a member of the council. The Bush administration announced it was virtually giving up on the body and would participate in debates only if absolutely necessary because of the Geneva body's anti-Israel statements and its failure to act on abuses in Sudan and elsewhere. U.S. diplomats resumed their observer role in the council after President Barack Obama took office, though it is unclear whether Washington will stand for one of the 18 council seats up for election in May. Esther Brimmer, Obama's nominee for the job of Assistant Secretary of State for International Organizational Affairs, told a Senate hearing Tuesday that the council was a "major disappointment, diverted from its mission by states with some of the worst human rights records." Here we have another Muslim woman who thinks that her religion puts her above the law or rules. Her swerving car was pulled over and she claims that the real reason for being stopped is because she is a Muslim. The Council on American Islamic Relations (CAIR) is on the case. 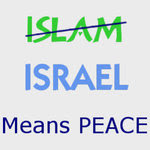 The bumper sticker on Lisa Gopalan's car reads "Islam means peace." "I was so humiliated," said Gopalan, who along with her husband was recently laid off. "I do feel I was racially profiled to an extent. The whole thing was so upsetting. I'm no criminal." "The Gilbert Police Department doesn't make traffic stops or contact based on racial descriptors," said Sgt. Mark Marino, a police spokesman. The incident began Feb. 15 as Gopalan was headed to a Target store. When she approached Cholla Street eastbound on Warner Road, an officer noticed Gopalan's car swerve into a bicycle lane, a police report states. Gopalan recalled pulling a calculator from her purse, when "I felt the car swerve." The arresting officer stated the car swerved a second time before coming to an abrupt, "haphazard" stop at Gilbert and Warner roads. Fearing anti-Islamic treatment, Gopalan said she removed her headscarf, or hijab. She was then asked to step outside of the car and then attempted to explain that she wasn't under the influence of alcohol, she said. The officer began a field sobriety test, which Gopalan performed poorly on. A short time later, a second officer arrived with a portable breathalyzer, which registered the woman's BAC at 0.00. "In my religion we don't drink. That's just something we don't do," she said. "I've never experienced any problems from (the medication) before," Gopalan said. The check is standard procedure for anyone booked on a suspicion of drug use, Marino said. "She was processed just as any other DUI suspect," he said. "Our primary goal is to make sure the civil rights of the Islamic community are adhered to," Daniels said. "We want to see where the police department is taking it," he said. "What concerns me is Lisa's case may be the tip of the proverbial iceberg." As that investigation continues, Marino warned motorists that prescription drugs can affect one's ability to drive. "Influence is influence," Marino said. "Many drugs impact people significantly. If you're impaired, your ability to drive the car is also impacted." During mid-February The Christian Action Network exposed that there are 35 Islamic terrorist training camps here in America. Now today a news report has come out telling us that there are at least six Islamic enclaves here in the US and there maybe many more. This is not assimilating and this is what they are doing across the world. They form their own communities and then expand from there. Eventually they will claim these parts of our land as their own and put out a call for these enclaves to be self-governed. Muslim immigration is our Trojan Horse and American Muslims are no different from the rest. Hat tips to Dr.Dave at Feed Your ADHD and Munz's Place. HANCOCK, N.Y. — If you didn't know where to look, you'd probably never find Islamberg, a private Muslim community in the woods of the western Catskills, 150 miles northwest of New York City. The town, sitting on a quiet dirt road past a gate marked with No Trespassing signs, is home to an estimated 100 residents. There are small houses and other buildings visible from the outside, but it is what can't be seen from beyond the gate that has some watchers worried. 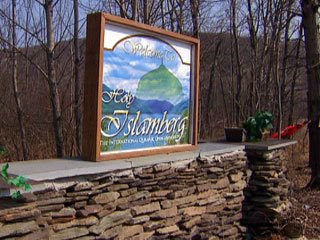 Islamberg was founded in 1980 by Sheikh Syed Mubarik Ali Shah Gilani, a Pakistani cleric who purchased a 70-acre plot and invited followers, mostly Muslim converts living in New York City, to settle there. The town has its own mosque, grocery store and schoolhouse. It also reportedly has a firing range where residents take regular target practice. Gilani established similar rural enclaves across the country — at least six, including the Red House community in southern Virginia — though some believe there are dozens of them, all operating under the umbrella of the "Muslims of the Americas" group founded by Gilani. Federal authorities say Gilani was also one of the founders of Jamaat al-Fuqra, a terrorist organization believed responsible for dozens of bombings and murders across the U.S. and abroad. The group was linked to the planning of the 1993 World Trade Center bombing, and 10 years earlier a member was arrested and later convicted for bombing a hotel in Portland, Ore.
Shoe bomber Richard Reid has been linked to the group, along with convicted D.C. sniper John Allen Muhammad. But it is Sheikh Gilani who creates the most controversy and concern. Gilani has told his followers that "Zionist plotters" plan to rule the world, and he encourates them to leave America's cities and avoid the "decadence of a godless society." Gilani is the man American reporter Daniel Pearl was trying to interview in Pakistan when he was kidnapped and beheaded. The Sheikh was taken into custody and later released by Pakistani authorities; he denies any involvement in Pearl's murder. Gilani also denies any connection to Jamaat al-Fuqra, as do residents of the MOA compounds, who say the "terrorist" group doesn't exist and was created by enemies of Islam hoping to destroy their communities. Members also deny sending a portion of their earnings to the Sheikh, but a former resident told FOX News that 10 to 30 percent of their income is regularly delivered to Gilani in the form of cash donations. FOX News attempted to visit Islamberg after earlier efforts to set up on-camera interviews were rebuffed. A spokesman said by phone that residents typically shy away from interviews since they worry their words will be manipulated and turned against them. He accused FOX News of misrepresenting the group and suggested covering an Islamic festival in Binghamton later in the month to celebrate the birthday of the prophet Muhammad. Then he hung up. Some residents, collecting their mail outside the compound or stopping for a short spell at its edge, spoke briefly of life on the inside. One woman told FOX News she was happy to be "away from the city and away from the drugs and crap that's going on," raising her family safely in Islamberg. Another resident drove out, dressed in a cap and robe, video camera in hand, and moved so close to a female producer that he actually made contact. The resident kept his camera rolling for the next 15 minutes without saying a word, but he finally began to answer questions. The man said residents get along with their neighbors and don't trust the media, which he said paints their town as a guarded compound "where no one can enter and exit." "It's a village," he insisted, "with people of all backgrounds, cultures and races." He said he was a 20-year veteran of the Air Force, still active in the reserves, who grew up in Brooklyn and converted to Islam while in the service. "I got awards for 'bridging the gap' between American and Saudi soldiers," he said, noting that he had helped process the bodies when 19 U.S. servicemen were killed in a 1996 terror attack in Saudi Arabia. He said there were many veterans in Islamberg, including one with a Purple Heart citation from Vietnam. The man denied the existence of Jamat al-Fuqra, and at first denied giving a share of his earnings to Sheik Gilani, but he later admitted that "all churches have tithes." During the interview, two state police cars roared up, as one of the residents had called the cops, a common occurrence when reporters show up at the gate. Local police told FOX News there has been plenty of rumor and innuendo over the years but very little trouble. The FBI's Albany Division said the agency has an open discourse with the residents of Islamberg. They've visited the compound but won't discuss whether there are any ongoing investigations. That has not dispelled the worries of some watchdogs. Robert Spencer, director of Jihad Watch, says the group is making a concerted public relations effort to present a benign face and hide its violent past. "I think we need to be very much on guard about every member of these compounds," he said. Though Spencer admits there is nothing inherently wrong with living in isolation, he stressed that "they're not at all open to visitors, they're not at all open to scrutiny and there's an abundance of evidence of sinister goings-on." Spencer offered no evidence to back his misgivings, but suggested political correctness may be hampering investigations. He says the group's connection to Sheikh Gilani is reason enough to be concerned that they're planning for "something on a larger scale and longer term," to "further the causes of the global Islamic Jihad", something MOA has repeatedly denied and scoffed at in the past. Residents call it a peaceful place to raise a family away from the pressures of the city, and maintain that the group is woefully misunderstood. "I used to work customs when I was overseas and I come here and get harassed at the grocery store and the bank. A clerk claimed my military ID was invalid because I'm Muslim," the resident told FOX News. Critics, lacking an eye into the cloistered community, still wonder whether it's something more. The similarities between the UK and the USA in regards to Islam continue. Over a month ago our FBI cut off all ties with The Council on American Islamic Relations. Today the gov't of the UK has cut ties with the country's largest Islamic organization, The Muslim Council of Britain. The government has suspended ties with Britain's largest Muslim group and demanded that one of its leaders should be removed from office for allegedly supporting violence against Israel. The news comes on the eve of the launch of a major government strategy aimed at fostering closer ties with Muslims to help counter the threat of Islamist terrorism. The launch tomorrow of Contest 2, the government's revised counter-terrorism strategy, comes after ministers decided to stop engaging with the Muslim Council of Britain (MCB). The council's deputy secretary-general, Daud Abdullah, signed a declaration last month that the government and critics of the MCB have interpreted as calling for violence against Israel and condoning attacks on British troops. The declaration followed a meeting in Istanbul of clerics and other Muslim leaders from around the world to discuss strategy after Israel's attacks on Gaza. Hazel Blears, secretary of state for communities and local government, wrote to the MCB saying Abdullah should be asked to "resign his post" for signing a statement that supported Hamas and celebrated its "victory" against "this malicious Jewish Zionist war over Gaza". Muslims who are sceptical of government anti-terror plans say they cannot think of any other occasion where a cabinet minister has tried to dictate to a religious group about the composition of its leadership. Abdullah, speaking for the first time about the row, told the Guardian he would not be standing down. He said of his views: "If British troops were to engage in a breach of international law, it is up to the people of the territory to decide what to do. But as I understand it, under international law, it is their right to resist." He defended signing the statement, saying: "It made no specific mention of attacks on British troops. The statement does say if foreign troops enter Gaza's territorial waters, it is the duty of Muslims to resist, as it would be seen as assisting the siege." Later, in an email, Abdullah said: "I did not and do not condone calls for attacks on British troops. "The British government has not deployed troops to the territorial waters of Gaza and I do not believe it or our parliament would endorse any breach of international law. "Any discussions about what should or would happen is hypothetical and I cannot speculate." Blears demanded that the MCB remove Abdullah from office and demanded to know what its leaders planned to do by today. In her letter, dated 13 March , Blears wrote: "In light of the MCB's unequivocal stance on violence, it would seem that Dr Abdullah's position as the deputy secretary-general would be incompatible with his recent actions." Blears's letter notes that the MCB would be investigating the matter, but says she was breaking links with the group, which was once seen as vital by the government to building better relations with British Muslims: "Whilst your investigation is ongoing and the matter remains unresolved I feel that it is only appropriate for us to suspend our engagement with the Muslim Council of Britain pending its outcome." In a statement, the communities and local government department said: "We ... are very concerned that the statement from the event calls for direct support for acts of violence in the Middle East and beyond. "We are concerned that the MCB have so far not recognised the gravity of this situation. If it is proven that the individual concerned had been a signatory, we would expect them to ask him to resign and for the MCB to confirm their opposition to acts of violent extremism." An MCB spokesman today condemned the government for trying to interfere in its internal affairs and said the cabinet minister's demand would be ignored: "The MCB is a democratic organisation, with its own affiliates, and they decide who its representatives are, and not Ms Blears." The Istanbul declaration said: "The obligation of the Islamic Nation [is] to regard the sending of foreign warships into Muslim waters, claiming to control the borders and prevent the smuggling of arms to Gaza, as a declaration of war, a new occupation, sinful aggression, and a clear violation of the sovereignty of the Nation. 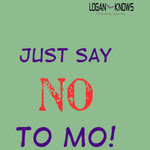 This must be rejected and fought by all means and ways." During the Gaza conflict, Gordon Brown suggested sending forces to help stop weapons smuggling into Gaza. This article was sent in by fellow anti-Islamist Martel Sobiesky. As usual Martel hits the nail on the head. "Moderate" Islam is not coming to the rescue. One thing is certain, Islam is not a religion by anything Americans believe one to be - not even close. In fact, Islam is the antithesis of what we deem to be religious. Above all, Islam is a totalitarian political machine of blood thirsty conquest which zealously advocates the downfall of the U.S. government. Jesus said, “My kingdom is not of this world…” because he was 100% non-political. In extreme contrast, Mohammed and the Koran bellicosely command YOUR KINGDOM IS MY KINGDOM, surrender or die! Let’s be to the point. It is sheer madness, exceedingly irresponsible, criminally negligent, and strategically suicidal to continue granting religion status to an absolutely aggressive and implacable ideology that demands the destruction of our government and all other religions. This means, we now have America’s Sugar Plum Fairy National Security Policy: All of the Islamofascists can be won over by simply labeling them “friends”. How dare we even utter the word enemy, that might upset them. We now have a national security mantra: Islam is perfect! Islam is perfect! Islam is perfect! The purpose of this article is to introduce that Islam’s religion status is undeserving, that it should never have been granted in the first place, and that it’s religion status should be immediately rescinded. To put it bluntly Islam’s religion status should be rescinded because it is a wolf in sheep’s clothing, a Trojan horse, an impostor religion that has arrived on our shore with malicious intent, deathly determined to replace our constitution with the Koran, and turn America into an Islamic nation controlled by Sharia law. Robert Spencer in his excellent book, “Stealth Jihad” (How Radical Islam Is Subverting America Without Guns or Bombs), explains how so-called moderate Islam is having greater success at invading America than its counterpart militant Islam. 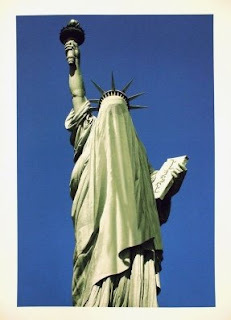 Shockingly, one may rightly conclude that America is now being conquered without Islam even having to fire a shot. Have we really become that docile, self complacent and pathetic? The answer is Yes! Dutch Politician Geert Wilders, having suffered first hand the “devouring” of his nation by so-called moderate Islam, unflinchingly states in his article, “The Islamization of Europe”…“There is no Moderate Islam”. The United States, like all besieged western democracies, must heed Geert Wilders warning if they wish to protect themselves. Clearly, the safe harbor of religion status enables the “two hands” of Islam to launch clandestine raids upon their host nation, sapping at its vitals from within. The killing of persons who criticize Islam has never abated and perhaps is even more alive today than in the 7th century. A few years ago in the U.S. an Egyptian Christian, his wife and two children had their throats cut for challenging Islam, mistakenly believing our free speech laws would protect them. Nearly everyday one hears of some gruesome murder, decapitation, or other violent crime committed by contemporary Muslims who are emulating the example of their prophet. Permit me to make a grim prediction: Any country that continues to provide religion status to Islam believing that moderate Muslims will save the day has been “succor punched” and is guaranteed to suffer great havoc and disruptive chaos. The proof is undeniable, look at the mayhem Islam has inflicted upon all western democracies over the past 20 years. The self destructive formula is simple: provide religion status to the sham of moderate Islam and your country will suffer great devastation. Martel Sobieskey has 36 years research experience in the field of religious conditioning and its relationship to warfare. He is greatly alarmed that American politicians, military commanders, educators, journalists, intelligence analysts, security and police personnel have failed to comprehend the deeply entrenched jihadist conditioning inherent in all of Islam - moderates included. President Obama has scored a hat trick when it comes to our enemies showing him no respect at all. First the it was the Taliban, then Iran, and now Chavez. When it comes to being on the world stage I would rather be feared and be called the Devil like Chavez called President Bush over two years ago than being called ignorant and looked upon as a dope. CARACAS, Venezuela – Venezuelan President Hugo Chavez on Sunday called President Barack Obama "ignorant," saying he has a lot to learn about Latin America. The Venezuelan leader said he had been ready to name a new ambassador in Washington when Obama took office, but put that on hold after the new U.S. president accused him of "exporting terrorism" and being an obstacle to progress in the region. 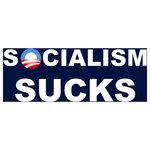 "At least one could say, 'poor ignorant person,'" Chavez said on his weekly television and radio program, adding that Obama "should read a little bit so that he learns about ... the reality of Latin America." Chavez's relations with Washington grew increasingly strained under former President George W. Bush. The Venezuelan president expelled the U.S. ambassador and withdrew his envoy from Washington in September. Top diplomats have yet to be restored at either embassy. Chavez and Obama both plan to attend a summit of leaders from across the Americas next month in Trinidad and Tobago. There, Chavez said he will make a case for Cuba to be included in regional talks, saying "we can no longer continue to accept the impositions of the U.S. empire." "We ask only for respect for Venezuela, nothing else," Chavez said. "If Obama respects us, we'll respect him. If Obama tries to keep disrespecting Venezuela, we will confront the U.S. empire." Chavez said he showed some of the U.S. administration's critical remarks about him to U.S. Rep. William Delahunt when the Massachusetts Democrat visited Caracas last week. "They keep pointing to me as the bad boy, as the one who attacks," Chavez said. "Who stared the attack first? Obama." The U.S. Embassy in Caracas did not immediately return a call seeking comment on Sunday. Avid Islam in Action reader Caleb Anderson has asked me to post this about his new business. Does anyone remember The Jetson's style videophones? Well now they are a reality!! These exciting new phones will be featured on tonight's The Celebrity Apprentice. The show will be aired at 9PM Eastern and Pacific time and 8PM Central time. If anyone has any questions about the videophone please contact Caleb. His contact info is listed below. If anyone is interested in purchasing one please mention this site for a special rate. how you ever lived without it! with Home Unlimited Plan $29.99 a month unlimited calling! voice on a true-to-life 7-inch screen! Pay less than traditional phone service. expect such as Caller ID, Call Waiting, and More! Back in January when Israel was in Gaza fighting against the Hamas terrorist group we saw American Muslims take to the streets and show their support of Hamas and their hatred of Jews. A Jordanian national obviously felt the same way about Israel and threatened to blow up a Jewish school in Chicago. A Jordanian national living in Chicago was taken into custody by the FBI Friday and was charged with mailing a threatening letter to the Ida Crown Jewish Academy, according to the FBI's Chicago office. Mohammad Alkaramla, 24, was arrested by the FBI's Joint Terrorism Task Force in connection with a December 2008 mailing to the school at 2828 W. Pratt Avenue in Chicago. Officials believe the threatening letter was sent in response to Israel's invasion of Gaza Strip in late 2008. The December 30 letter threatened that explosives would be detonated around the school if Israel did not cease its military actions in Gaza by January 15, according to the FBI. "No explosive devices were ever planted and no injuries were reported," the FBI release stated. Alkaramla appeared in U.S. District Court on Friday where he was formally charged with one count of sending an Interstate Threatening Communication and was ordered to be held without bond. The arrest came as part of a three-month investigation. FBI agents searched Alkaramla's residence in February as part of the investigation. If convicted of the charge, which is a felony offense, Alkaramla could face a sentence up to ten years in prison. The Muslim actor who played a Lebanese gang leader in the movie The Combination was arrested on an assault charge, which was in retaliation for a previous street brawl. I guess that the movie could of been called a biography. ONE of the stars of a new Australian movie about gang violence will be in jail when the film premieres next month. Ali Haider, 19, who stars in The Combination, is facing a charge of assault occasioning actual harm. He was refused bail in Sydney's Central Local Court on Friday, the movie's writer George Basha confirmed. As Haider appeared via video link from Parklea prison, Basha was in court to offer his support, along with director David Field and producer John Pirrie. Basha said the assault charge was in relation to a street brawl in Sydney's CBD late last year. Haider has been in custody since mid-November. Basha said Haider's lawyers had reviewed CCTV footage of the incident and were confident he would be released. But that won't happen before his next scheduled court hearing on February 24. The red carpet premiere for The Combination will be held on February 17 in Parramatta. Basha said everyone involved in the film was very disappointed, but hoped Haider would be released before the film's February 26 release in cinemas around the country. "I spent the whole day there thinking they were going to get him out. Our lawyer is disappointed too because he didn't think Ali did much,'' Basha said. In The Combination, a film about gangs and racism, Haider plays a violent young Lebanese man. His character Zeus is involved in armed hold-ups, drugs and shootings. Our friend Ali Sina has a message for us and I urge all readers to please help out and join his new Facebook group, Understanding Muhammad. Ali says, "Since September 11, 2001, there have been over 11,000 terrorist attacks, resulting in the deaths of hundreds of thousands of civilians and a lot more injuries, throughout the world. The perpetrators of these attacks were not monsters; they were Muslims. They were pious people who believed and acted in accordance with their faith. There are millions more who think like them and are ready to do the same. If you think Islamic terrorism is a new phenomenon, think again. Islam owes its success to terrorism. The prophet of Islam boasted, “I have been made victorious with terror". [Bukhari: 4.52. 220] Since the day Muhammad set foot in Medina, he started his campaign of terror. His followers have been doing the same ever since. Muslims are intolerant, supremacist, bullies, and violent. They are highly inflammable and can explode if they are not treated preferentially and with respect. At the same time, they abuse others and violate the rights of people of other faiths. To understand Muslims, one must understand their prophet. Muslims worship and emulate Muhammad. Islam is Muhammadanism. Only by understanding him can we know what makes them tick. It’s said that we must know our enemy in order to defeat him. Muslims are not our enemy, nor are the terrorists among them. The enemy is the religion that they have embraced. It’s only under the influence of Islam that they are transformed into beasts. I have predicted that Islam will fall within our lifetime. This won’t happen by itself. But it will happen once the truth is spread. This religion will be eradicated when everyone comes to know Muhammad and his sick mind. I do not claim to have a superior knowledge of Islam. There are many Muslim scholars who know the Quran and the hadith by heart, who know everything about the Sharia, its various schools of jurisprudence and its history a lot better than me. But I claim to understand Muhammad better than most people and certainly better than all the Muslims. I say this with conviction that once the world comes to see the truth about Muhammad and understands him, Islam will become history and world peace will become a possibility. I wrote a book entitled Understanding Muhammad. Dr. Sam Vaknin had this to say about it. Thank you for joining. Please invite others, particularly Muslims to join too. Understanding Muhammad is imperative for our survival. Islam poses the biggest threat to the peace of the world, to our lives and to our civilization, and nothing can defeat it except understanding it. Knowledge is power. With knowledge we can destroy Islam. Let Muslims come and defend their faith. Let the dialogue begin. Truth will be known when opposing ideas clash. Through my site www.faithfreedom.org I have helped thousands of Muslims leave Islam. All we have to do is spread this knowledge and millions will leave. Faithfreedom.org is banned in most Islamic countries. I hope through this medium we can reach many Muslims who otherwise are kept in the dark. Only truth will set us free. Let the truth out. Islam in Action can now be Followed on Facebook!! Afghanistan:Saudi & Taliban sit Down? Iran Calls out Obama on "Change"!! Islam in Action now on Twitter!! Gitmo Guys:We are Islamic Terrorists!! Taliban to Obama: Get a Clue!! Evil Israel? I Don't Think so! !